We co-ordinate the first full Open Dialogue training programme to be run outside of Finland. The first of these three year programmes commenced in London in April 2015 and included teams from four NHS Trusts, as well as teams working in public services in several international countries. We also welcomed independent practitioners and peers onto this programme. We started our second full training programme in May 2018, and the next full training will start in Spring 2020, details of which can be found here. This training is led by senior Finnish trainers as well as other leading international practitioners/trainers. In addition to the above, we run a one year foundation training. We have run this training twice in London. This training is led by Nick Putman (Open Dialogue UK) and other leading international trainers. The next foundation training will be starting in September 2019, and details can be found here. We also run foundation trainings on an in-house basis in the NHS, and other mental health services, both in the UK and internationally. In 2017 we organised a foundation training in Queensland, Australia, as part of the Wide Bay Peer Supported Open Dialogue project. We are currently running a foundation training on an in-house basis in the NHS, for South West Yorkshire Partnership NHS Foundation Trust, and will also be running a foundation training in Washington State, USA, starting in July 2019. Further details can be found here. In the video below some of the participants in our 2016 Foundation Training reflect on the experience. In April 2016 we took over premises in Dalston, London, where we arrange meetings with families/networks, using many of the principles of the Open Dialogue approach. We are also able to arrange home visits in the London area, and can arrange for meetings via Skype, or for family members who are geographically distant to join meetings via Skype, where necessary. For further information on family/network meetings, please see this page. We regularly run seminars in our premises in Dalston, London on the Open Dialogue approach, and are also able to travel around the UK and internationally to deliver seminars. These seminars are run in English, but can be adapted to include translators where necessary. For further information on our seminars, and to express interest in our running a seminar in your area/country please see this page for further information. We organise conferences and other events in the UK to share information about Open Dialogue and related approaches, and to engage with mental health professionals working in a variety of ways with a variety of client groups. Our 2016 Conference attracted 600 people and was a very stimulating event. We work to promote the development of the Open Dialogue approach through a variety of other means, producing written and digital material for professionals, carers, service users and others who are interested in learning more. We aim to have more resources available on this website soon. The Open Dialogue approach is both a philosophical/theoretical approach to people experiencing a mental health crisis and their families/networks, and a system of care, developed in Western Lapland in Finland over the last 25-30 years. In the 1980s psychiatric services in Western Lapland were in a poor state, in fact they had one of the worst incidences of the diagnosis of schizophrenia’ in Europe. Now they have the best documented outcomes in the Western World. For example, around 75% of those experiencing psychosis have returned to work or study within 2 years and only around 20% are still taking antipsychotic medication at 2 year follow-up. All presenters were interesting and informative. The different styles kept my attention. 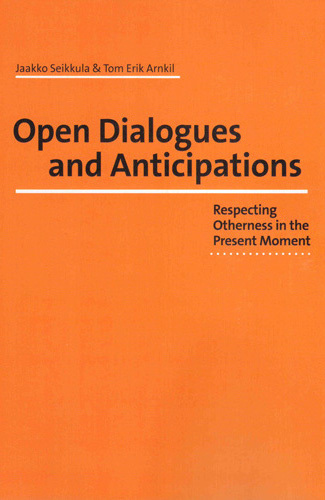 The personal accounts of how the Open Dialogue approach is in use were very helpful. The approach is respectful of all involved. It encourages equal value to each viewpoint, shared responsibility and acceptance, although the pathway is rocky, a positive outcome is much more likely. It was really refreshing to hear about a truly person centred approach to supporting people in distress. The vignettes were particularly moving and inspiring, reminding me of how I want to work with people and how hard it is sometimes in a system built on the medical model. I think it's the way we should have always worked with people in distress. I really hope that this approach can be rolled out across the UK. Appreciated the combination of appropriate emotional candidness, and content about Open Dialogue practice and developments. 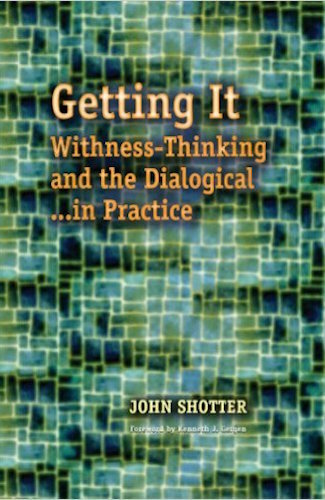 My thoughts and feelings were articulated by people who spoke (presenters, delegates) at the conference: an approach that 'makes sense', seems simple/straight forward, with the complexity coming in the practice of it. I was impressed that people came from the USA, Germany, Finland, Sweden etc to present, and that those presentations were beyond Open Dialogue while being in the spirit of Open Dialogue. I love [Open Dialogue]. It’s what I am about...well trying to be about...'embracing difference' in this case by engaging is a respectful honest dialogue. I think all the presentations were wonderfully concise. Brief but packed full of discourse that was both exciting and interesting and provocative and assuring and informative and inspiring. Such a wonderfully diverse range of speakers too, covering so many elements of open dialogue; it's applications, it's successes, it's progression. It was truly something wonderful to partake in. To sign up to our mailing list, please complete the form below.